It feels good to be back! Sorry that I haven’t posted in a while, but I was having problems due Facebook banning my site off the platform. They cited that it was because they recognised it spam and therefore it broke the TOS. I reckon it was probably done to using ‘bit.ly’ links, as goo.gl links are being phased out. In coming months I started moving the website from blogger to tumblr. This turned out to be a big mistake as GDPR made sharing anything almost impossible. In the end I decided it was best to create the site that you see before you. I could’ve just given up with my hobby instead of push on, however due to the amount of satisfaction that I get from people reading my blog I decided to keep at it. Chip Bit Sid has been something that has helped my find friends, help my skills but above all help me with my mental health. I’ve been a major pusher of freedom of speech and censorship, and whilst I may not like people’s opinions shared, I’d much rather challenge those ideas instead of shutting them down. 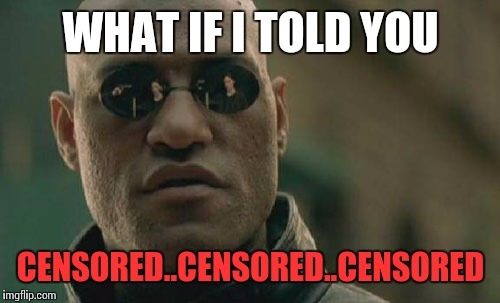 I knew censorship over the internet would be coming, however I didn’t expect it to come so quickly and mercilessly. My next review will be shortly coming out over the weekend, and it’s been something I’ve been write about for a while. I hope you’re looking forward to it as much as I am.